BU Athletics has published a Men’s Hockey Summer Newsletter summarizing activities involving current and former Terriers. Included: a letter from Head Coach Albie O’Connell, new Assistant Coach Paul Pearl’s bio, two Terriers on the NHL All-Rookie team; NHL Entry Draft selections; 2018-19 schedule; thumbnails of eight freshmen and one graduate transfer; Comm Ave Charity Classic information; and more. ►Dante Fabbro spoke with NHL.com about his decision to return to BU for his junior season and his intention to eventually sign with Nashville, rather than become a free agent. The Predators had attempted to sign him earlier this summer. Freshman Joel Farabee tied for the Team USA lead in goals at the World Junior Summer Showcase with three. The left wing drafted #14 overall by Philadelphia, scored the first goal in the final game (a 6-5 loss to Canada), converting a two-on-one with Brady Tkachuk. Logan Cockerill was the third Terrier on the U.S. roster, while Shane Bowers skated for Canada. Hastings also had high praise for Joel Farabee (PHI). Said he was "thoroughly impressed" with him as a player and a person. Liked the way he responded to adversity and showcased tremendous abilities on both sides of the puck. Major factor in today's game. A couple of undersung players that I’ve really liked for USA are Logan Cockerill (NYI), who looks like he’s bulked up from last season and still can fly, and Sasha Chmelevski (SJS) who has shown impressive versatility, which will be key for him to make the team. ► This weekend, Farabee will play in the Checking for Charity tournament just outside of Philadelphia on a team raising funds for the Wounded Warrior Project. 2019 recruit Robert Mastrosimone scored Team USA’s first two goals in a 6-0 win against the Czech Republic in preliminary round play at the Hlinka-Gretzky Cup tournament in Red Deer, Alberta. Both Mastrosimone (USHL Chicago Steel) and 2020 recruit Cade Webber (The Rivers School) were named to the U.S. U-18 Select team following the USA Hockey Select 17 Development Camp. Mike Bavis, a former Terrier forward and associate head coach, has been named Head Coach and Director of Hockey Operations for the ECHL Wheeling Nailers. He replaces former Merrimack coach Mark Dennehy, who is the new head coach of N.J. Devils' AHL team in Binghamton. 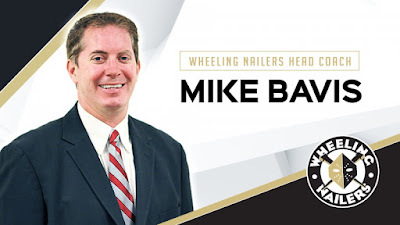 All three head coaching positions in the Pittsburgh organization are Terriers: Mike Sullivan, Penguins; Clark Donatelli, AHL Wilkes Barre; and Bavis. All three played for Jack Parker. Joe Pereira, a forward on BU's 2009 national champions, has been promoted to associate head coach at Connecticut. He's in his sixth season behind the UConn bench.
.@danronan02 goes deep on how his @BelmontHill experience prepared him for @TerrierHockey. Ronan was a defenseman on BU's ’96 and ’97 Frozen Four teams and four Beanpot champions. Now, a senior director with BNY Mellon Wealth Management, he remains active in hockey, coaching in the New England Fall Prep Hockey League. Jack Eichel and Nick Bonino are the latest NHL Terriers to sign on for the 2018 Comm Ave Charity Classic set for Walter Brown Arena on August 24. Details. Former Terrier captain Doyle Somerby talks about his upcoming second pro season. The Marblehead, Massachusetts native, drafted by Columbus, played for the Blue Jackets’ AHL club, Cleveland, last year.